Big news on the blog today! Fred achieved the SIOR office designation awarded by the Society of Industrial and Office REALTORS. SIOR is a Washington, DC-based international professional organization of more than 3,000 commercial real estate professionals, 2,800 of whom have earned the coveted SIOR designation. To achieve the SIOR designation, Fred completed five years of creditable experience in the highly specialized field of office real estate; met stringent education requirements; and demonstrated professional ability, competency, ethical conduct, and personal integrity. Individuals who hold the SIOR designation are top producers in the commercial real estate field and are represented in more than 630 cities in 29 countries around the world. SIOR enforces a strict code of ethics and required designees to complete its ethics course within their first three years of membership. Fred has been an Iowa licensee since 1975. 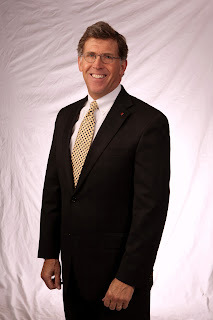 He has been practicing in the disposition of commercial real estate as a third party broker since 1997. "I am please to bring my association with SIOR members, which provide a greater pool of buyers and tenants, to our projects here in the Cedar Valley," states Miehe. Jim Sulentic, President of Sulentic-Fischels Commercial Group, commented, "Fred is worthy of this high designation. We are proud of his accomplishment." Thank you for giving the information. I like to research on real estate. I am an architect and I use to research on various real estate articles and blogs to built the building.